The English Electric Lightning is a fighter aircraft that served as an interceptor during the 1960s, the 1970s and the late 1980s. It remains the only UK-designed-and-built fighter capable of Mach 2. 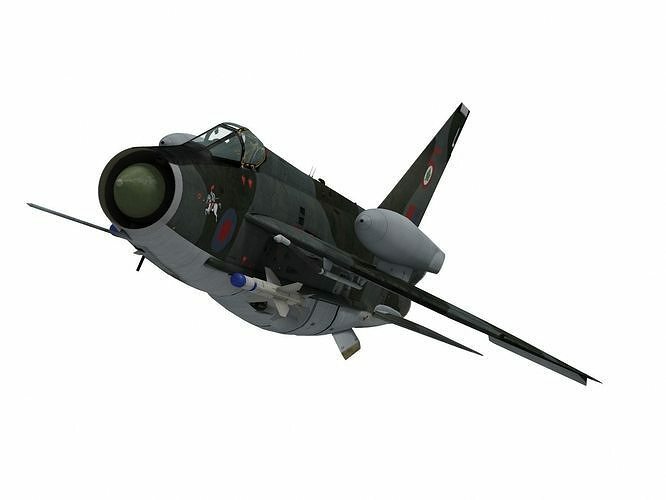 The Lightning was designed, developed, and manufactured by English Electric, which was subsequently absorbed by the newly-formed British Aircraft Corporation. Later the type was marketed as the BAC Lightning. It was operated by the Royal Air Force (RAF), the Kuwait Air Force (KAF) and the Royal Saudi Air Force (RSAF). A unique feature of the Lightning's design is the vertical, staggered configuration of its two turbojet engines within the fuselage. The Lightning was initially designed and developed as an interceptor to defend the V bomber airfields from attack by anticipated future nuclear-armed supersonic Soviet bombers such as what emerged as the Tupolev Tu-22, but it was subsequently also required to intercept other bomber aircraft such as the Tupolev Tu-16 and the Tupolev Tu-95. The Lightning has exceptional rate of climb, ceiling, and speed; pilots have described flying it as being saddled to a skyrocket. This performance and the initially limited fuel supply made the Lightning a fuel-critical aircraft, meaning that its missions are dictated to a high degree by its limited range. Later developments provided greater range and speed along with aerial reconnaissance and ground-attack capability.